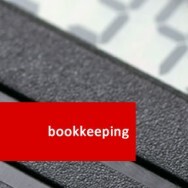 ADL is short listed for major Bookkeeping training award! Dec 05, 2013 The nominees for the Institute of Bookkeepers Global Annual Dinner and Luca Awards have been announced: The Luca Award nominees have been announced .. Spotlight on Bookkeeping Feb 11, 2014 Another year, another Tax return. The 31st of January was the last day tax returns could be filed with HMRC for the 2012-2013 tax year causing lone traders and .. The ADL Valentines Day Bookkeeping Special Feb 14, 2014 The ADL Valentines Day Bookkeeping Special In the spirit of Valentine’s Day today ADL is offering fantastic deals on ICB Bookkeeping courses. For a lim.. Pioneers of Education: Luca Pacioli Mar 03, 2014 Pioneers of Education: Luca Pacioli Regarded by many accountants as the father of modern Bookkeeping, Luca Pacioli was a mathematician and Franciscan Friar w..
Getting Started as a Bookkeeper – 5 Things to Bear in Mind! 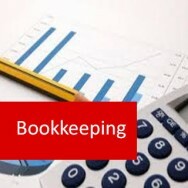 Mar 11, 2014 Getting Started as a Bookkeeper – 5 Things to Bear in Mind So, you’ve taken the plunge, done a course or two and you think yourself now ready to ..
Latest Syllabus. The ICB Level 3 Certificate in Bookkeeping qualification is your pathway to being employed as a professional bookkeeper or providing the services of a self-employed bookkeeper. Upon completion of this qualification, you will be awarded the designatory letters MICB and call yourself an ICB Certified Bookkeeper. You will also be expected to understand the basics of the various accounting standards that apply (IFRS and UKGAAP). Preparation of these accounts will not be examined at this level. Allow Approximately 120 – 180 hours average study time. Some students have completed this course in less hours while others have taken a little longer. It all depends on your personal circumstances at work and at home. You will need to have completed ICB Level 2 Certificate in Bookkeeping (2014-2018) or its equivalent with another awarding body or been granted exemption. 01227 789 649 or email: - info@adlhomestudy.co.uk. Please Note: - Sage Software may not be compatible with MAC’s. Parallels can be downloaded from Apple Bootcamp enabling Windows to be installed. On enrolment, you are allocated your own personal dedicated Professional Bookkeeping Tutor, who is there to support you all the way through the course and to provide guidance and help as you prepare for the ICB exams. You can have as much or as little contact as you prefer. They are there for you. Contact can be made by email, phone or Skype through our online support system. FREE access to ICB’s award-winning membership benefits scheme. The course content listed below covers the same syllabus and topics covered in the ICB exam. This is an external exam and covers the entire Level 3 syllabus. The assessment combines a mixture of multi-choice and data entry questions and is taken at a Pearson VUE testing centre. 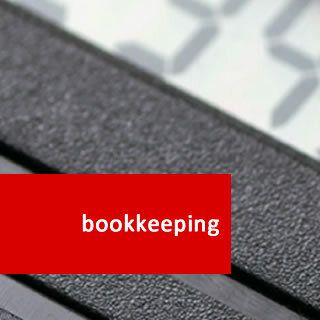 Our ICB Bookkeeping tutors have over 40 years bookkeeping experience between them, are active within the bookkeeping profession, up-to-date with current bookkeeping practices and legislation and are dedicated to helping students achieve their bookkeeping goals. Paul brings three decades of real-world business and bookkeeping expertise. His bookkeeping and business experiences include many international Project Management programmes, Directorships, Managerial positions and bookkeeping services. Pauls' active participation in the bookkeeping profession ensures he is up-to-date with current accounting practices. He is a full member of the ICB. His international business background and role as a business counsellor, is an added bonus when helping students pursue their bookkeeping career. Pauls friendly, helpful and motivating personality is a contributing factor in helping many students achieve Distinction in their ICB exams. Paul welcomes the New ICB syllabus as it will help students be better equipped to provide bookkeeeping skills and services for todays complex business world. 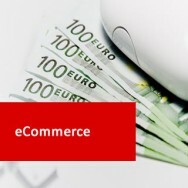 Job opportunites, whether for self-employment or working as a bookkeeper are boundless, nationally and internationally.